In order to remain up-to-date on the best healthcare initiatives, medical professionals must continuously seek new research on best practices and procedures to provide efficient medical care to their patients. As heart and lung disease accounts for many illnesses and deaths, and are both a major concern to many members of society, it is especially important for cardiovascular intensivists to hone their skills and use the best surgical and treatment options available. 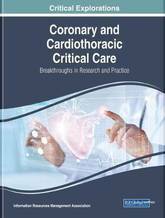 Coronary and Cardiothoracic Critical Care: Breakthroughs in Research and Practice is an essential reference source for the latest scholarly material on emerging strategies and methods for delivering optimal healthcare for those with coronary and cardiothoracic diseases. 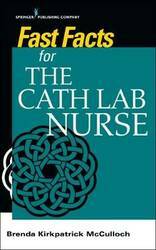 It also examines the latest techniques and methods used in cardiovascular care. 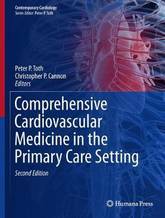 Highlighting a range of pertinent topics such as coronary artery disease, patient monitoring, and endocrine and metabolic management, this publication is an ideal reference source for medical students, residents, fellows, anesthesiologists, cardiac surgeons, nurses, physician assistants, and pharmacists who assist patients who require coronary and cardiothoracic care. In people with South Asian ancestry, the cardiovascular diseases of stroke and coronary heart disease (CVD) are epidemic, and type 2 diabetes mellitus (DM2) is pandemic. As South Asians comprise about 25% of the world's population their high susceptibility is of global public health and clinical importance. Eluding researchers across the globe, this phenomenon continues to be a subject of intensive enquiry. As Ban Ki-moon, the United Nations Secretary-General, points out, the epidemics of chronic diseases, which he describes as a public health emergency in slow motion, can be restrained but not stopped. 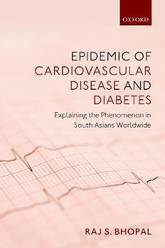 With a focus on the global South Asian population, Epidemic of Cardiovascular Disease and Diabetes: Explaining the Phenomenon in South Asians Worldwide is a critical review of current literature investigating the increase in cases of CVD and DM2, and the data underpinning them. The book argues that the high risk of CVD and DM2 in urbanised South Asians is not inevitable, genetic, or programmed in a fixed way. Rather, exposure to risk factors in childhood, adolescence, and most particularly in adulthood, is the key to unravelling its cause. Drawing on current scientific literature and discussions with 22 international scholars, the book presents a unique synthesis of theory, research, and public health practice under one cover - from tissue research to human intervention trials. It also addresses the challenge many health professionals face in developing countries: to produce focused, low cost and effective actions for combating CVD and DM2. The lessons contained within will have ramifications in healthcare across the globe Epidemic of Cardiovascular Disease and Diabetes: Explaining the Phenomenon in South Asians Worldwide is ideal for scholars, researchers and health practitioners working towards understanding and preventing the epidemics of these modern chronic diseases across the world. With an exponential growth in the number of older adults, understanding the common disorders of the elderly patient requiring cardiac care is becoming increasingly important. 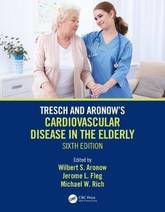 Incorporating recent advances in the field, Tresch and Aronow's Cardiovascular Disease in the Elderly 6th Edition has been completely revised and updated to provide cardiologists, primary care physicians, geriatricians and other clinicians caring for the elderly a comprehensive and accessible overview of the epidemiology, pathophysiology and treatment of cardiovascular disorders in older patients. 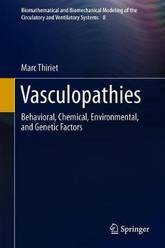 This volume presents one of the clinical foundations of vasculopathies: the biological markers and risk factors associated with cardiovascular disease. A detailed biological and clinical framework is provided as a prerequisite for adequate modeling. Chapter 1 presents cardiovascular risk factors and markers, where the search for new criteria is aimed at improving early detection of chronic diseases. The subsequent chapters focus on hypertension, which involves the kidney among other organs as well as many agents, hyperglycemia and diabetes, hyperlipidemias and obesity, and behavior. The last of these risk factors includes altered circadian rhythm, tobacco and alcohol consumption, physical inactivity, and diet. The volumes in this series present all of the data needed at various length scales for a multidisciplinary approach to modeling and simulation of flows in the cardiovascular and ventilatory systems, especially multiscale modeling and coupled simulations. The cardiovascular and respiratory systems are tightly coupled, as their primary function is to supply oxygen to and remove carbon dioxide from the body's cells. Because physiological conduits have deformable and reactive walls, macroscopic flow behavior and prediction must be coupled to nano- and microscopic events in a corrector scheme of regulated mechanisms. Therefore, investigation of flows of blood and air in anatomical conduits requires an understanding of the biology, chemistry, and physics of these systems together with the mathematical tools to describe their functioning in quantitative terms. This new edition is devoted to a broad array of topics involving the circadian variation in cardiovascular diseases, with focuses on hypertension, stroke, and coronary disease. The volume covers clinical and device research related to home and ambulatory BP monitoring, as there have been significant advances in technology since the publication of the previous edition. In addition, there is an increased focus on the applicability of home and ambulatory BP monitoring in drug development in all therapeutic arenas. 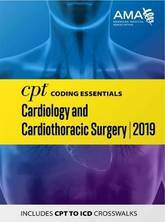 The text features contributions from chapter authors from around the world and who have great expertise in cardiovascular medicine, therapeutics, clinical trials, and evidence-based medicine. 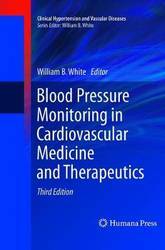 Blood Pressure Monitoring in Cardiovascular Medicine and Therapeutics, Third Edition is essential reading for a large audience, including those practicing cardiology and nephrology with a special focus in hypertension, geriatrics and internal medicine, clinical trialists, regulators in the US, Europe, and Japan, and physicians in training in cardiology, hypertension, pharmacology, nephrology and neurology. This book provides an update of recent advances in the basic and clinical applications of cell-based therapies for myocardial repair and regeneration in ischemic heart disease (IHD) and heart failure (HF). The first sections of the book illuminate basic aspects of stem cells such as definitions, isolation criteria and characterization of embryonic and adult stem cells, as well as pluripotent stem cells and tissue specific progenitor and stem cells. In the following section, the text examines the role of critical regulators of stem cell differentiation in myocardial regeneration, that include circadian rhythyms, microRNAs, epigenetics, microvescicles, and exosomes. 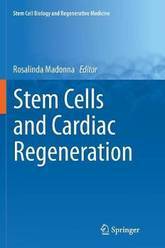 The text concludes with a review of the use of stem/progenitor cells in cardiac regeneration and discuss current controversies, unresolved issues, challenges, and future directions. Stem Cells and Cardiac Regeneration is addressed to a wide audience consisting of cardiologists, clinicians, and research scientists, who will learn new concepts in cardiovascular regeneration and repair with special focus on molecular mechanisms and therapeutic potential for cardiovascular regeneration. Dedicated to the critical management of acutely ill adults with congenital heart disease, this comprehensive book discusses the many challenges faced in the management of these patients, who require intensive inter- and trans-disciplinary care. It provides the first universal review of the practical management of patients with these complex conditions, who survive into adulthood with congenital cardiac malformations and are often affected by other morbidities. For this reason, it reflects a consistent interaction and collaboration between several disciplines: pediatric and adult cardiology, cardiac surgery, pediatric and adult cardiac intensive care, anesthesia, intensive care nursing, nutrition, psychology and many other specialties. It offers concise and pragmatic recommendations, and provides basic and advanced concepts that allow caregivers to anticipate, prevent and effectively treat such pathologies. 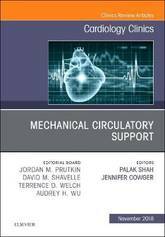 The book also includes chapters focusing on cardiac-database and risk-factor assessment, organizational and operational topics, advanced mechanical circulatory assistance and pharmacology. 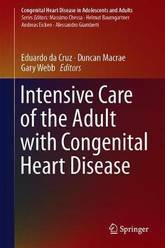 Whilst bringing together top international experts who are leading reference programs around the globe, this book is an indispensable teaching tool for clinicians and caregivers involved in the management of critically ill adults with congenital heart disease. 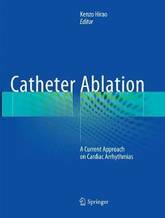 This book provides cutting-edge theories and techniques for catheter ablation of all kinds of tachyarrhythmias. Catheter ablation has been a main therapeutic method for tachyarrhythmias for more than thirty years now, and countless operations have been successfully performed. It is crucial for electrophysiologists to diagnose arrhythmia mechanisms correctly and to optimize ablation methods, especially in Japan, one of the world's fastest-aging countries and where many of this book's authors are based. The volume is divided into eight parts. The first three parts present the basic theories and novel insights essential to diagnosing and performing catheter ablations. In turn, the latter five parts highlight practical ablation methods in the context of frequently encountered arrhythmias cases, as well as rare ones such as chanellopathies. 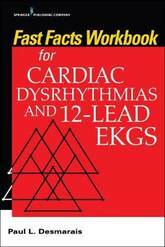 Written for electrophysiologists who treat patients with cardiac arrhythmias, the book offers readers essential tips and tricks for the optimal treatment of arrhythmias. Now available in a mini format, the tenth edition of the Oxford Handbook of Clinical Medicine has been fully revised, with five new authors on the writing team bringing content fresh from the bedside. Space has been breathed into the design, with more core material at your fingertips in quick-reference lists and flow diagrams, and key references have been honed to the most up-to-date and relevant. Each page has been updated to reflect the latest changes in practice and best management, and the chapters on gastroenterology, history and examination, infectious disease, neurology, and radiology have been extensively revised. Unique among medical texts, the Oxford Handbook of Clinical Medicine is a complete and concise guide to the core areas of medicine that also encourages thinking about the world from the patient's perspective, offering a holistic, patient-centred approach. Loved and trusted by millions for over three decades, the Oxford Handbook of Clinical Medicine continues to be a truly indispensable companion for the practice of modern medicine. 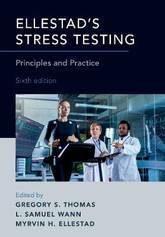 The sixth edition of Ellestad's classic text on cardiac stress testing has been extensively updated and re-written to communicate contemporary understanding of the classical principles of stress testing to clinicians and researchers, students and seasoned practitioners alike. The current techniques for performing stress tests presented herein reflect major technologic advances in imaging, physiologic monitoring and the assessment of cardiovascular risk, addressing fundamental paradigm shifts in interventional, surgical and medical treatment of heart disease. Moreover, the text addresses the dramatic changes that are occurring in patient demographics and the environmental, socioeconomic, gender and genomic factors that crucially impact heart disease and warrant attention when performing cardiac stress testing. Chapters on the physiology of exercise testing including practical details regarding protocols for conducting the stress test, proper supervision, important parameters to be monitored, and the diagnostic and prognostic information to be gleaned from the electrocardiogram set the stage for expanded chapters on the use of cardiac imaging in conjunction with stress testing. Physiologic and metabolic considerations during stress testing are covered in detail. Application of stress testing to special populations, such as women, children, athletes, and individuals in both high and low risk groups are covered in new chapters. Finally, the authors address the use of stress testing in limited resource environments and discuss global changes in the incidence of atherosclerosis, and suggest how stress testing may evolve. 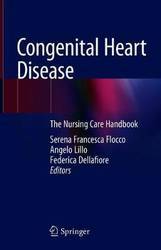 This book provides the theoretical and practical basis of technical nursing in congenital heart disease; it is intended for nurses and nursing students, and for anyone involved in the treatment of these patients. The improvements in diagnosis and management of patients with congenital heart disease (CHD) are due to the recent advances in cardiac surgery and interventional cardiology and have meant that an increasing number of infants are reaching adolescence and adulthood. This manual is a practical and easy-to-use guide, which promotes effective cooperation between health professionals. Congenital heart disease is a disorder that is present at birth, and studies show that the incidence is around eight cases per thousand live births. The heart is formed during the first four - ten weeks of gestation, and alterations to this process can affect normal development, leading to heart defects. There are various types of heart defects: abnormalities that affect a single part of the heart (for example a valve) but also, highly complex abnormalities where there is severe damage to the cardiac architecture. The seriousness of the disease and the effects on child health vary: some forms have no real impact on child health and allow a normal life, while others are incompatible with life. In the context of the most significant influx of migrants in European history, the objective of this book is to provide healthcare professionals with essential knowledge and skills to effectively treat and prevent cardiovascular diseases in ethnic minorities. 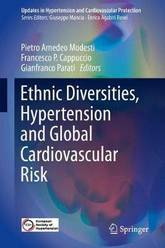 Acknowledging that the scientific and cultural training of health professionals on the specific health needs of minority groups is still limited and likely biased, the book sheds light on the different health policies in European countries as well as epidemiologic data on cardiovascular events among migrants. In addition, it presents an in-depth analysis of potential ethnic-group-specific drivers of global cardiovascular risk within this new and challenging framework - as well as issues related to its prevention and treatment. The prevalence of hypertension, diabetes, chronic kidney disease, obesity, and metabolic syndrome is found to be higher among most minority groups than in the native population, yet their access to treatment and health services may be limited by cultural and language barriers. As health professionals are confronted with such intercultural challenges on a daily basis, specific training and dedicated publications are thus essential to accompany and foster a constructive development towards a pluralist and healthier society. This book addresses that need, offering a unique and revealing resource. 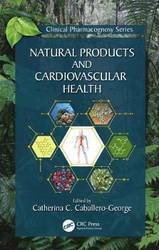 This unique volume provides the latest information on secondary metabolites obtained from selected organisms (plants or microorganisms) that have beneficial effects in the treatment of cardiovascular diseases and an ability to offer protection against their progress. A detailed description of their source, chemistry and mechanism of action is provided, together with results of clinical studies. Here, a clear connection is made between chemical structures, in vitro studies and their clinical significance.The topic is extensive and the audience gains an understanding of the medicinal applications of these groups of secondary metabolites that have the potential to improve cardiovascular health. Features: The latest information on secondary metabolites with beneficial effects in the treatment of cardiovascular diseases. Written by an outstanding team of authors, their work provides new insights into the beneficial effects of different components present in well known plant products, evidencing their impressive cardiovascular effects. This volume discusses novel targets to screen for new drugs and the need for data obtained from clinical studies using natural products in order to better analyze the significance of in vitro experimental data. Here the reader will find a unique and timely volume with an international flavor. This book describes the source, chemistry and mechanism of action of natural products with the potential to improve cardiovascular health. 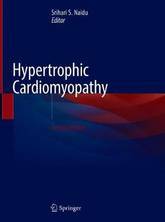 This extensively updated edition provides a comprehensive review of hypertrophic cardiomyopathy, the most common genetic disorder of the heart characterized by dysfunctional contractility at the sarcomere level. The disease produces abnormal and oftentimes focal hypertrophy on a macroscopic level that further impairs cardiac performance and may lead to life-threatening arrhythmias. This edition provides a practical approach, establishing evidence-based best practice for all scenarios. Hypertrophic Cardiomyopathy provides readers with key points and critical clinical pearls to assist them in managing patients. New chapters have been included on managing hypertension, sleep apnea, coronary artery disease, structural and congenital disease, nutrition and pharmacotherapies. All aspects of treatment are covered - medications, pacemakers and defibrillators, and invasive septal reduction therapy (both surgical myectomy and alcohol septal ablation) - in addition to genetics, family screening, lifestyle concerns, and athletic screening. The practical approach has been reinforced with an expanded emphasis on creating a Center of Excellence, how to facilitate the multi-disciplinary approach, and on case-based reviews and discussions, with each chapter ending with a post-test. 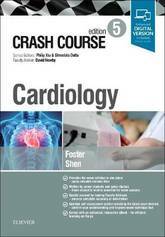 This book is an essential text for cardiology professionals from trainee to board-certified physician, and includes important information for interventional cardiologists, cardiac surgeons, cardiac imagers, critical care physicians, sports medicine physicians, genetic counsellors, and electrophysiologists. There is an evident practice gap in education of general adult cardiologists on long-term management of congenital heart disease (CHD). The goal of this book is to help general cardiologists, but also pediatricians and related care providers in the management and diagnosis of adult CHD. 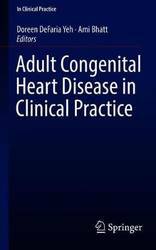 Adult Congenital Heart Disease in Clinical Practice provides clear, practical advice on adult CHD for the busy fellow, resident and practicing clinician. It includes training and revision material to assist learning and is formatted in such a way as to provide short, concise content designed for easy recall of salient facts. This updated textbook provides an essential evidence-based approach to echocardiography and includes practical case-based instruction illustrating a wide variety of clinical scenarios in which echocardiography is a vital diagnostic option for physicians. It reflects how echocardiography has evolved into a complex multimodality method for evaluating and quantifying cardiovascular lesions, and explains the use of hemodynamic assessment of the heart using echocardiography, transesophageal and three-dimensional echocardiography, deformation imaging and assessment of myocardial perfusion, which have added a new dimension to real-time noninvasive evaluation of patients. Echocardiography highlights the clinical utility of these evolving modalities that are now crucial to the renaissance of echocardiography, and it provides a thorough clinical review of this most revealing and adaptable methods of imaging a patient. The Editors and their world-class group of contributors have created an essential reference for those in training or who already use echocardiography in their practice.
? 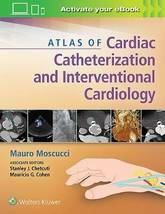 Comprehensive, current, and lavishly illustrated, Atlas of Interventional Cardiology thoroughly covers all of today's cardiac catheterization and coronary interventional procedures, including catheterization and stenting techniques, angiography, atherectomy, thrombectomy, and more. Full-color illustrations and procedural videos guide you step by step through every interventional procedure you're likely to perform. A one-of-a-kind, practical atlas, ideal for interventional cardiologists, trainees, and general cardiologists. Each chapter includes an introduction, several case studies, conclusion, and pertinent references. Complete coverage includes chapters on Catheterization in Childhood and Adult Congenital Heart Disease, Pitfalls in the Evaluation of Hemodynamic Data, Coronary Artery Anomalies, Pulmonary Angiography, Intravascular Imaging, Interventions for Structural Heart Disease, Thoracic Aortic Endovascular Grafting, and many more. Enhance Your eBook Reading Experience Read directly on your preferred device(s), such as computer, tablet, or smartphone. Easily convert to audiobook, powering your content with natural language text-to-speech. This book is a valuable tool to assist both cardiovascular physicians and scientists learning the intricacies of hypertension research and its milestone studies. All major hypertension trials have been reviewed in this book in chronological order with extensive discussion of the study population, study design, and outcomes and with a special focus on what knowledge they offered, their strengths and weaknesses, statistical errors, impact on international guidelines and unmet needs. Importantly, the book also offers physicians and young scientists with basic knowledge regarding medical biostatistics. It is of critical importance for a scientist involved in the field to understand deeply the process of analyzing medical data. Moreover, the accurate interpretation of the results is central for applying evidence-based medicine in everyday clinical practice. 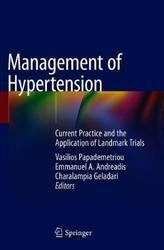 Management of Hypertension: Current Practice and the Application of Landmark Trials is a critical tool to assist in the education of physicians and researchers in the field, providing a separate section on pioneer researchers in hypertension and urging readers to become bright exemplars for scientists wishing to pursue a career in academic medicine and hypertension research. 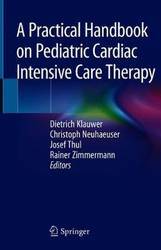 This book combines valid physiology and treatment strategies with the institutional experience of one of the leading German pediatric heart centers. It is intended as a pragmatic guide, focusing on daily practice and bedside medicine: straightforward, easy to implement, and results-oriented. It offers readers a profound understanding of intensive care, with a specific focus on organ systems, their interactions, and the effect of life support technologies, pursuing a comprehensive approach to congenital heart defects and therapies, including pitfalls and solutions. The target group is extended towards pediatric cardiologists and anesthesiologists by integrating chapters on the systematic analysis of hemodynamics and anatomy, diagnostics and treatment of congenital heart defects, plus a chapter on modern anesthesiology during heart operations with a focus on early extubation that minimizes on-pump and medication trauma. As such, the book offers a pragmatic and clinically oriented guide for physicians with advanced experience and expertise in (cardiac) intensive and intermediate care, as well as beginners and junior physicians. Fibroproliferative diseases are a broad spectrum of entities from organ-specific involvement (e.g., pulmonary, heart, liver, and kidney fibrosis) to multi-system diseases such as systemic sclerosis and sclerodermatous graft vs. host disease. These diseases also encompass pathophysiologies not readily recognizably related, such as macular degeneration and cancer metastasis. Fibroproliferative diseases are a leading cause of morbidity and mortality and can affect all tissues and organ systems. Remarkable progress in elucidating the pathogenesis of these common diseases with fibrotic components, including the critical roles of myofibroblasts and the molecular mechanisms driving the transcriptional activation involved in the induction of fibrosis. As the importance of these processes is realized in the long-term recovery and treatment of diseases, effective anti-fibrotic therapies targeting the underlying ongoing disease processes are lacking. The complexity of discovering and applying therapies to fibroproliferative disease may be due to the diversity of the systems the pathogenesis of disease itself involves. By nature, fibroproliferative diseases are interdisciplinary, involving multiple cell types (organ-specific epithelial cells), immune cells, endothelial cells, and fibroblasts. Bone marrow, cytokines, and organ-specific pathologies further speckle both the clinical and scientific disciplines in such a way that communication is often limited to the clinical or scientific tribes we live in, despite the greatest access to information known to man available today. 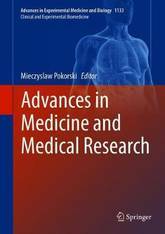 Therefore, the primary focus of this text is to bring together authors from a diversity of both clinical, scientific, and therapeutic backgrounds for readers to more fully appreciate that fantastic platform that is available to build upon to lessen the isolation of the clinical and scientific disciplines. With advances in the discovery of pre-clinical therapeutic targets (at least 20+ to date) involving TGF-beta (and other cytokines), transcription factors, and downstream kinases, it's important to both recognize the broader impact and potential opportunities that exist even today. This book will serve as a state-of-the-art resource for physicians and translational medical researchers alike who are interested in the rapidly evolving field of fibroproliferative diseases. 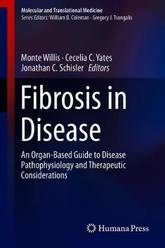 The book will provide new insight into the fundamental mechanisms of classic fibrotic pathophysiologic processes like myocardial infarction, idiopathic pulmonary fibrosis, chronic kidney disease, wound healing, and systemic sclerosis. It will also highlight the many new areas of therapeutic investigation currently underway. Lastly, we will touch upon newly emerging fields investigating the role of fibrosis in macular degeneration and cancer metastasis. The chapters will be written by established experts in their fields, including clinicians (cardiologists, cardiovascular surgeons, pathologists, and general practitioners) and translational biomedical researchers in a wide range of disciplines. However, the material will certainly have a broader audience including medical residents, fellows, and general practitioners as well as M.D. or Ph.D. post-doctoral research fellows. While comprehensive, we'll attempt to present the material in a manner that simplifies the complex pathophysiologic mechanisms that underlie common fibroproliferative diseases while making it appealing to a broad audience. 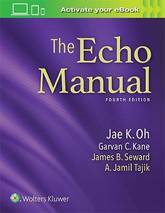 Ideal for residents, fellows, and others who need a comprehensive, clinically focused understanding of echocardiography, The Echo Manual, 4th Edition, has been thoroughly revised with updated information, new chapters, and new video clips online. 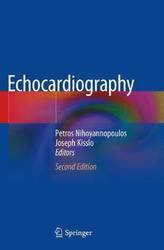 Written primarily by expert authorities from the Mayo Clinic, this best-selling reference remains a practical guide to the performance, interpretation, and clinical applications of today's echocardiography. 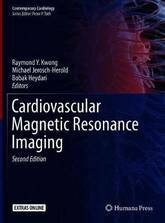 Features all-new chapters specifically devoted to 3D echo, interventional echocardiography, and hand-carried ultrasound. Includes new echo videos that provide a valuable learning experience of echocardiography in motion. Provides a concise, user-friendly summary of techniques, diagnostic criteria, and quantitative methods for echocardiography, Doppler echocardiography, and transesophageal echocardiography. Presents complex material in an approachable, visually appealing manner that focuses on the clinical application of echocardiography as a diagnostic tool. Covers the latest techniques, standards, and applications - all highlighted by more than 900 high-quality, annotated images that are true to gray scale and color. Enhance Your eBook Reading Experience: Read directly on your preferred device(s), such as computer, tablet, or smartphone. Easily convert to audiobook, powering your content with natural language text-to-speech.